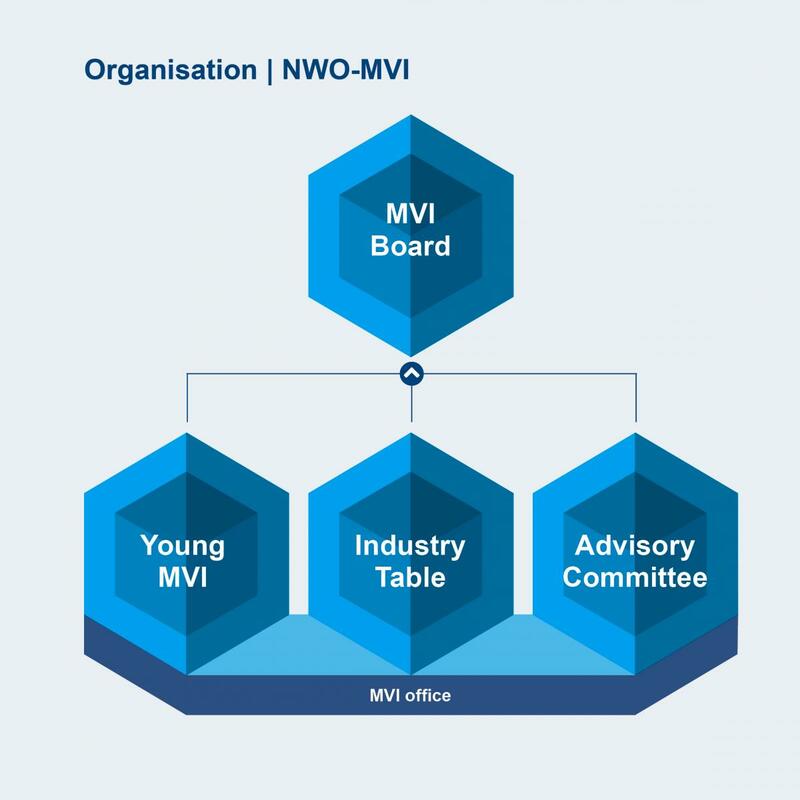 The NWO-MVI Board is responsible for the global coordination of the platform. The Board receives advice from Young MVI and the Industry Table. For the assessment of applications for funding, the NWO-MVI Board appoints the members of an Advisory Board. This board advises on which applications should and should not be funded. The Advisory Board also advises on (all) other aspects of the funding round. The board consists of both scientific and societal members. For the assessment of funding applications, the MVI Board appoints the members of an Advisory Board. This board advises which applications should not be funded. The Advisory Board also advises on (all) other aspects of the funding round. The Board consists of both scientific and social members. Young MVI is formed by young researchers from ongoing or recently finished projects. They advise the NOW-MVI Board, form a sounding board for specific MVI projects, share their best practices with other researchers, are involved in general NWO-MVI activities. The Industry Table is organized in collaboration with VNO-NCW. It consists of representatives of industry and advises the NWO-MVI Board on the Research Agenda on topics that are particularly relevant for industry. The Industry Table also helps to actively promote contact between NWO-MVI and industry.